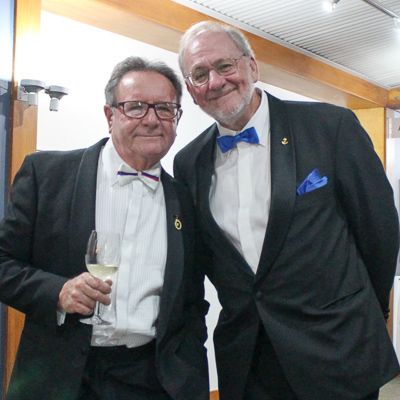 "Noel Paterson and David Healey, Life Members." As an accolade to their hard work over many years, two Australians and one American were recently awarded Life Membership of the International Etchells Class. All three have served as Governors, as well as having given many years of great service to the Class in other roles, and such an honour is well deserved for all three. Prior to them, life membership had only been bestowed on eleven people, so they join an elite group. 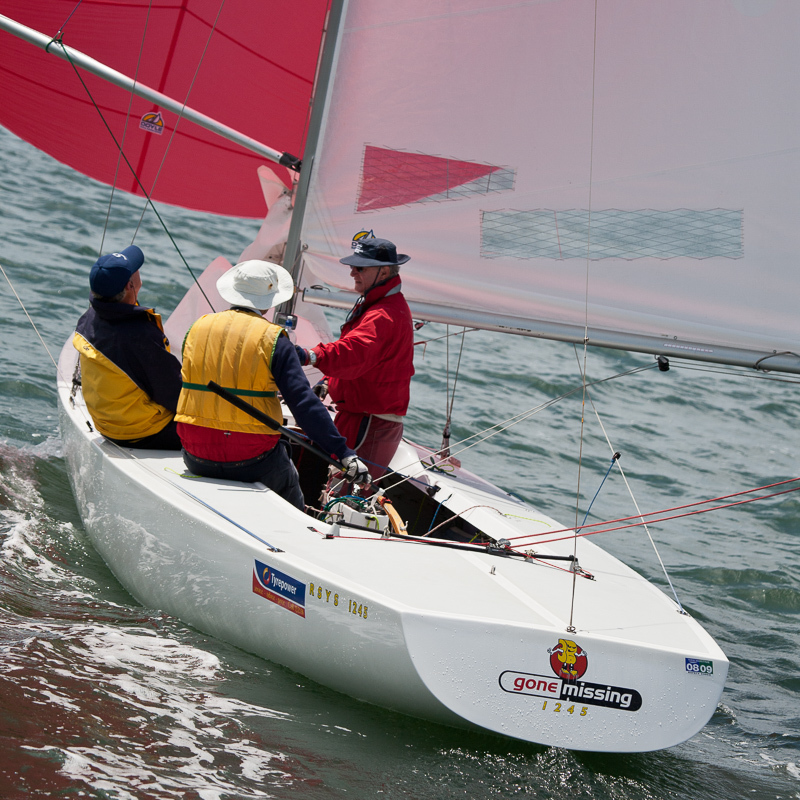 For 30 years, American Kers Klausen has been a stalwart of the class in the Richmond area of San Francisco, and has sailed in numerous Etchells regattas all over the world. He was the driving force behind the two World Championships that have been hosted by the Richmond club. A successful engineer, Kers established Brickyard Cove Yachts, just to hold stock of many Etchells parts including spars to supply to his local fleet. Kers has twice been awarded the Bill Munster Sportsmanship Trophy at an Etchells Worlds. He was the award’s inaugural recipient in San Diego in 2000, and that award was given to him again in 2017 in Belvedere, San Fransisco. Australian Noel Patterson has served a number of terms as an International Governor, as well as twice serving as the Australian President. He was the glue that held the Brisbane Fleet together when it had dwindled to only a few boats, and his work brought it back to life. His tireless work continues as the current Brisbane Fleet Captain (again), where he is spending many hours putting together the upcoming Brisbane Worlds. Australian David Ritchard has served as the International Treasurer for many years. Along with his several terms as an International Governor, he has served as Australian President, Secretary and Treasurer over a period of some 25 years. As Pittwater Fleet captain, he was the principal driver of the 1999 Worlds held at Pittwater. He has just commenced his third consecutive year as Australian President, adding to the two years he served some time ago. At its August meeting, the Australian Association bestowed Australian Etchells Association Life Membership on David Healy. Although somewhat of a ‘new-boy’ to Etchells compared to the above three, David has served as Australian Secretary for many years and has just commenced his second year in the dual roles of Australian Secretary and Treasurer. At the same time, he is one of the leaders for the upcoming Brisbane Worlds. Just one of those three roles is enough for most people. David has been active in the Brisbane Fleet for many years, and his barbeques during Etchells regattas in Brisbane are legendary. Congratulations to all four. Thoroughly well deserved. They have all given so much to the Etchells Class. "Life Member, David Ritchard in 2007 NSW States, Gosford."